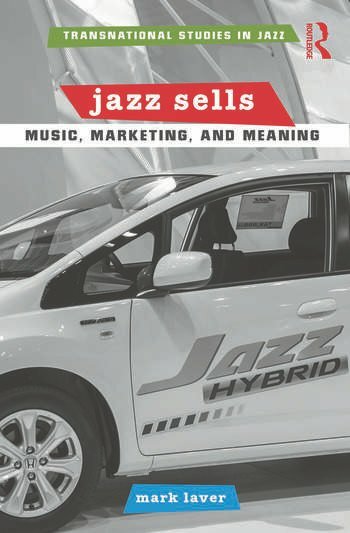 Jazz Sells: Music, Marketing, and Meaning examines the issues of jazz, consumption, and capitalism through advertising. On television, on the Internet, in radio, and in print, advertising is a critically important medium for the mass dissemination of music and musical meaning. This book is a study of the use of the jazz genre as a musical signifier in promotional efforts, exploring how the relationship between brand, jazz music, and jazz discourses come together to create meaning for the product and the consumer. At the same time, it examines how jazz offers an invaluable lens through which to examine the complex and often contradictory culture of consumption upon which capitalism is predicated. Mark Laver is an Assistant Professor of Music at Grinnell College, where he teaches classes on jazz and popular music. His work has been published in Popular Music and Society, Popular Music, Black Music Research Journal, and Critical Studies in Improvisation. Laver is also a busy saxophonist who has performed with Lee Konitz, William Parker, and Dong-Won Kim, among many other leading international artists.